The BCMI is the centre piece of the Master Builders Survey of Building and Construction and has tracked industry sentiments across over 50 separate business, economic and workforce indicators. A re-established ABCC is crucial for our industry, the 1 million workers we employ, and the community who depend on the roads, schools and hospitals we build. The recent and ongoing debate surrounding negative gearing in the media and in Parliament in recent weeks has been relentless. Why Should the Community Pay a Building Union Tax? The issue of tax, how we raise and how we spend it, is one of the major conversations that we are having ahead of the 2016 Federal Election. Surely the ABCC is the Best Way Forward? For most people in the building and construction industry the Heydon Royal Commission’s damning findings about the appalling behaviours of the building unions, particularly the CFMEU, will come as no surprise. The unions, particularly the CFMEU and the ETU, have attempted to portray the China-Australia Free Trade Agreement (ChAFTA) as an evil that will undermine Australia’s way of life and living standards when the exact opposite is the case. There is no doubt that the ascension of Malcolm Turnbull to the office of Prime Minister has dramatically altered the political and public policy dynamic, but what does it mean for the building and construction industry? Safety is paramount for Master Builders and the building and construction industry, and the community deserves best practice in the management and control of asbestos. We are more than half way through 2015 and dwelling commencements have reached an all-time record high of 203,706 in the year to March, an increase of 15.6 per cent year-on-year. Does the CFMEU Dare to Change? When it comes to normal community standards of behaviour, the CFMEU just doesn’t get it. 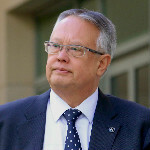 Wilhelm is CEO of Master Builders Australia and a principle advocate of Australia’s building and construction industry. He is a Director of Cbus, Liveable Housing Australia, Australian Construction Industry Forum Ltd and various Master Builder directorships. He is also the Chair of Focus, a non- profit, non-government organisation which supports people with intellectual disabilities in the Canberra region.